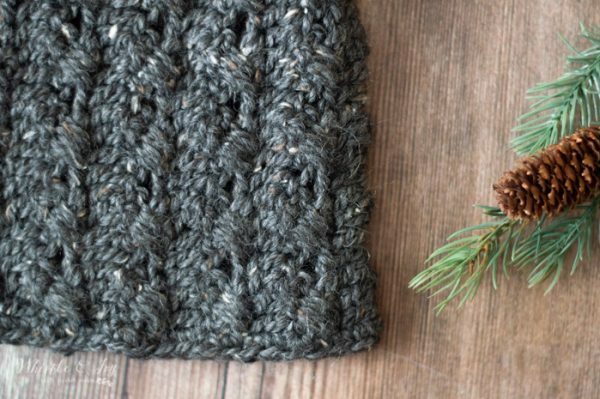 This faux crochet cables hat is a fun, easy crochet project! 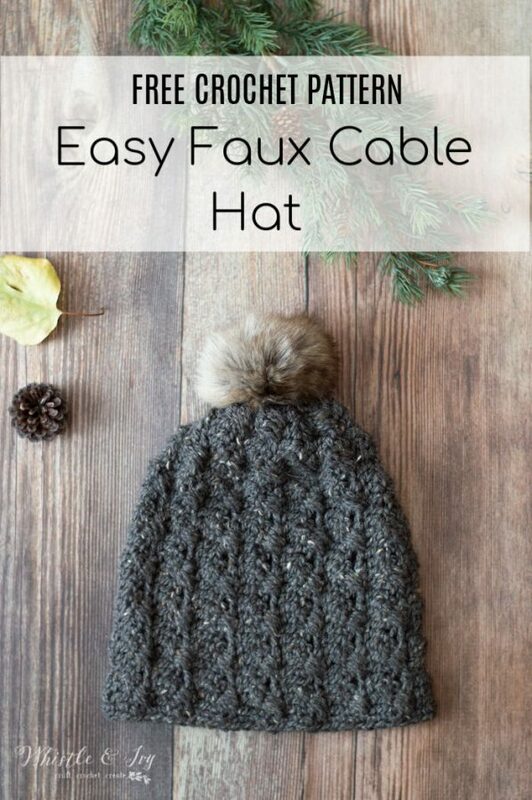 You won’t believe how easy the “faux crochet cables” are to make, and this hat is very easy to adjust the sizing. 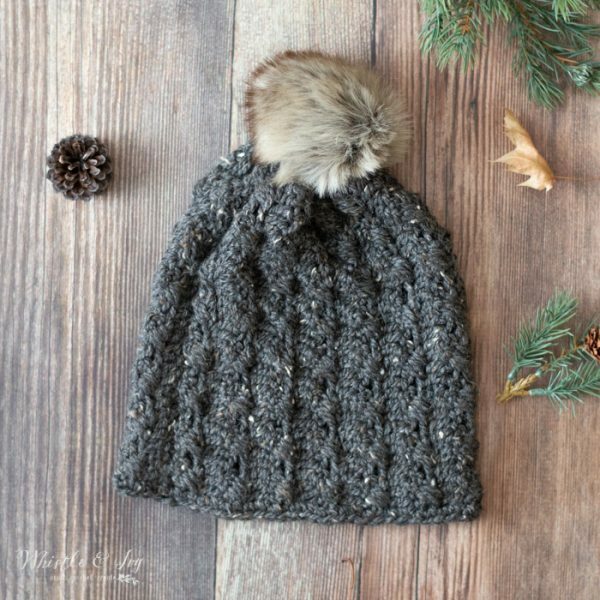 The hat is perfect for both men and women and I encourage you to try using the same tweed yarn, it looks stunning with the faux cables. 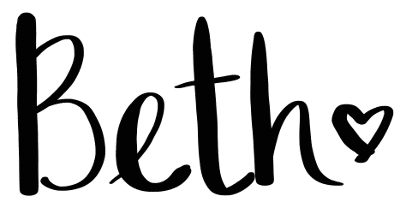 This post contains affiliate links, thank you for your support! I can’t believe it’s November 7th, and I am just now publishing my first free pattern of Crochet Season 2018. I really didn’t realized how behind I would get with our recent move, but it’s no joke. Luckily I did quite a bit of work during the summer, so after Plaid Week you will see more fun things on Whistle and Ivy. I am especially excited to share all my holiday patterns (stay tuned!). Today’s pattern is my Cobblestone Hat, which was a lovely name suggested by @randomactofkrochet (thanks so much for suggesting it!) This pattern was so fun to make. The texture turned out beautiful(the tweed yarn is gorgeous). The texture comes from these cute holiday sweater candle cozies I made a couple years ago. 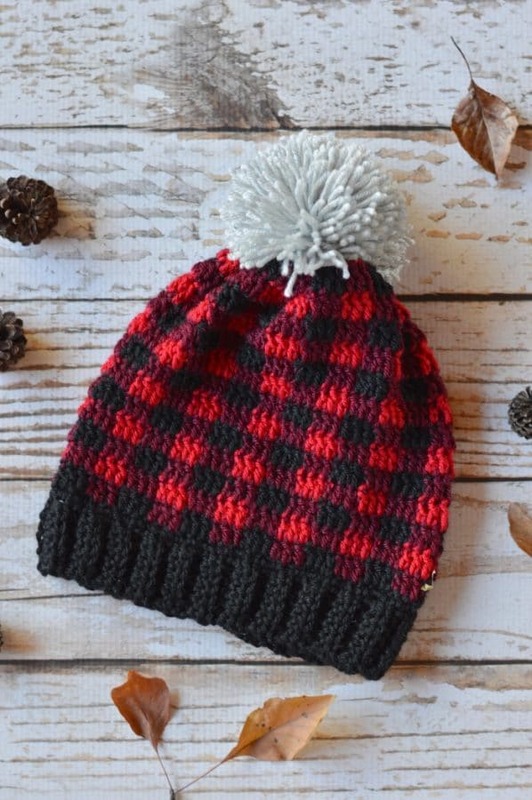 As I was brainstorming fall pattern ideas a few months ago, I thought I would whip up a hat using the same technique and I love the effect. Isn’t it amazing how crochet is so versatile? You can create so many textures with just a few basic stitches. I also personally think the tweed yarn is a must, but I am crushing on all-things-tweed right now. I used City Tweed, it is slightly bulkier than worsted weight yarn and so silky soft. Note: This pattern is worked as a large rectangle and then sewn into a tube and closed at the top. You will turn after each row. Ch 2 does not count as first st.
1. Make a Foundation DC about 9 1/2″ (be sure it’s in multiples of 4 + 1) Turn. The foundation will be the height of your hat, for a less slouchy hat you can work fewer sts here. 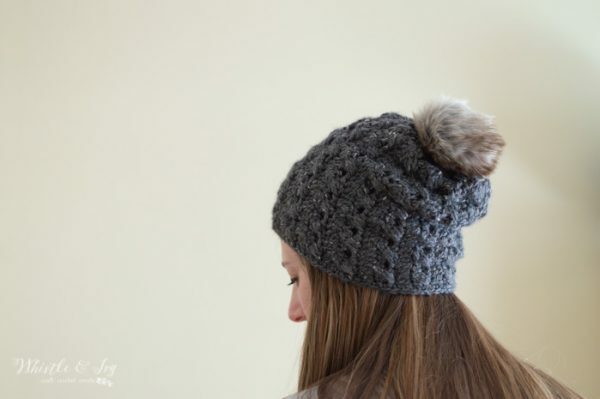 You can also make this hat in different sizes by making a shorter foundation. 2. Ch 2. Sk same st and next st. Dc in next 2 sts. Reaching back across the 2 dc you just worked, work a dc in same st as ch (1st sk st). Work dc in next sk st (2nd sk st). *Sk 2 sts. Dc in next 2 sts. Reaching back a cross the two dc you just worked, dc in 1st sk st. Dc in 2nd sk st* repeat all around the row. Dc in last st. Turn. 3. Ch 2. Dc in each st across. Turn. You can adjust the number of rows to make a smaller/larger hat. (You’re piece should stretch at least 2″ – 3″. If yours isn’t stretchy, consider using the yarn I used (or a different, stretchy yarn), going up a hook size, or you will need to work more rows. Choose which side of the fabric you like best. I like the side with the right sides of the DC rows, but I think both sides look nice. Fold your piece in half, with the right side on the inside. Starting where you left off in the last row of sc, sc down the edge, sewing the to ends together to form a tube. The hat will have two edges, one will be a bit nicer and straighter, the other end will be less nice-looking. The nice-looking edge will be the bottom of the hat. Thread a length of yarn onto your darning needle. Working around the top of the hat (the less-nice looking edge) sew a loose running stitch all around the tube. 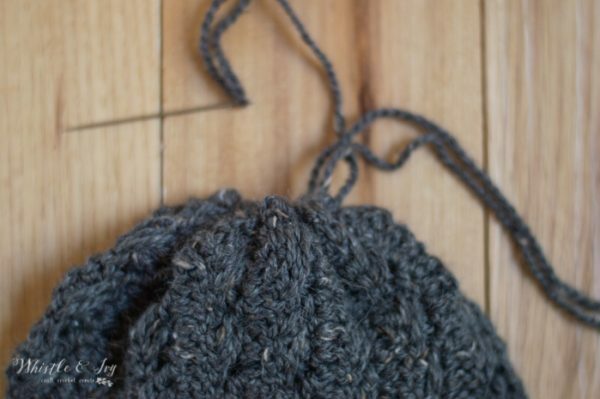 When you get to the beginning, pull the ends until the hat cinches shut. Tie a firm knot and weave in ends. Turn out hat right-side-out. On the bottom of the hat, work an even row of sc to make a nice edge. Join with a sl st and weave in all your ends. You can leave it as-is or you can add a fur pom-pom! I hope you enjoyed this simple and fun technique! 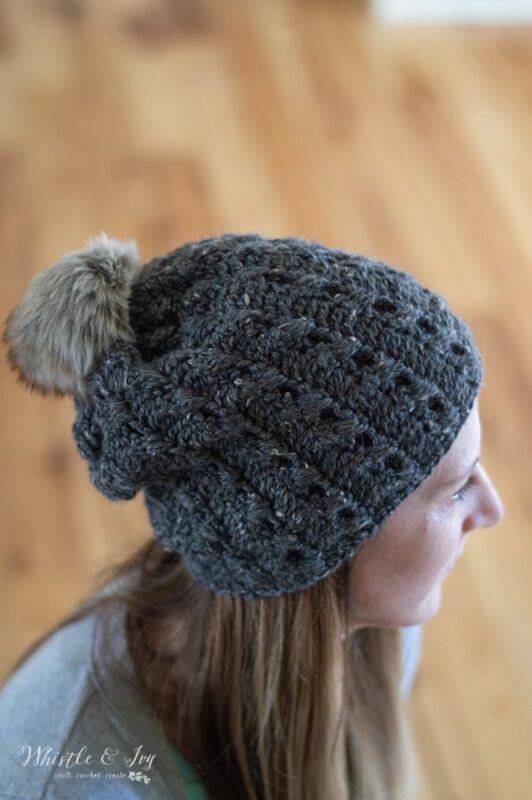 You will love your new faux crochet cables hat (I love mine!). We have only dipped our toes in Crochet Season, but this is my favorite hat so far. 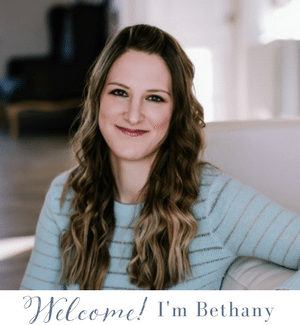 Will it stay that way…? Share your project in our Facebook Community! We need YOU! Thank you for sharing this great pattern! The pattern is fun and it looks beautiful! It’s my FAVORITE hat! I seriously have been wearing it since I made it. I need to make me a few in different colors. I hope you love yours! If making a adult size hat in your suggested City Tweeds Aran, do I need to order 2 skeins? Yes I would order 2 just in case. The City Tweeds Aran is in sale, right now. A good time to buy. Yay! I will have to stock up myself. I love this yarn. Just made this for my granddaughter. It was fast and easy and turned out SO cute. It was my first time using FDC and I loved it. I used your guideline for toddler size, a size H hook and I Love This Yarn from Hobby Lobby. I made 24 rows and then added 3 rows of HDC to the bottom as a small band. It’s perfect! Thank you for the wonderful pattern! Next I’m trying your faux pom poms! When it comes time to sew the hat together, you refer to doing a row of single crochet into the other single crochet row? Is the pattern not a repeat of the crossover row & then a dc row? My guess is you are suggesting to single crochet as a way of joining to make a tube, is that correct? Thank you for this beautiful pattern! Ah! I see what you mean. I originally designed it with a row of sc across the last row but scratched it to make the seam look nice, and I didn’t change that in the instructions. You will simply sew the two sides together with a row a sc. Thanks for catching that! 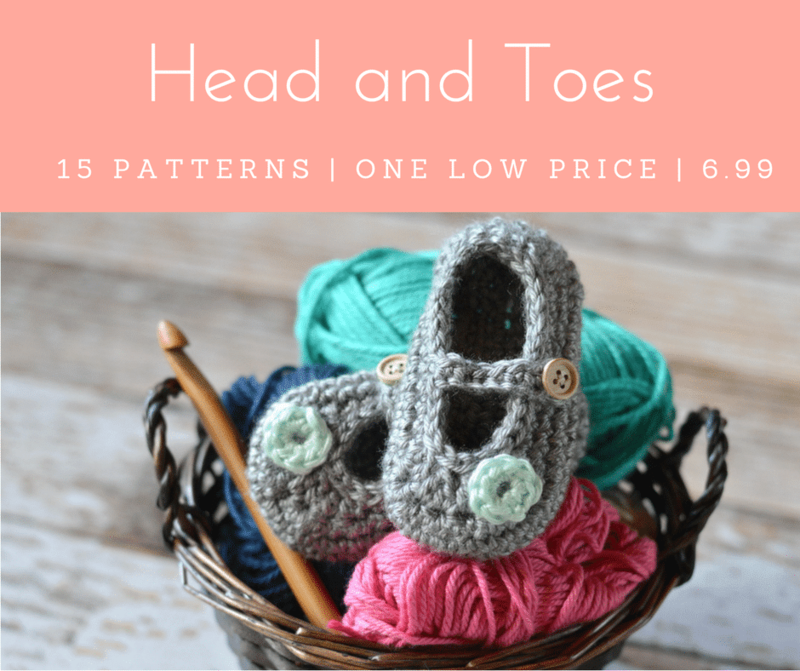 Follow the written pattern :) the video is a guide for working the stitch, but the pattern is for the finished hat. I tried to add a comment earlier today and noticed that it’s not here so I will do it again. I hope it’s not a repeat! Thank you so much for this hat, your ideas and patterns are great! 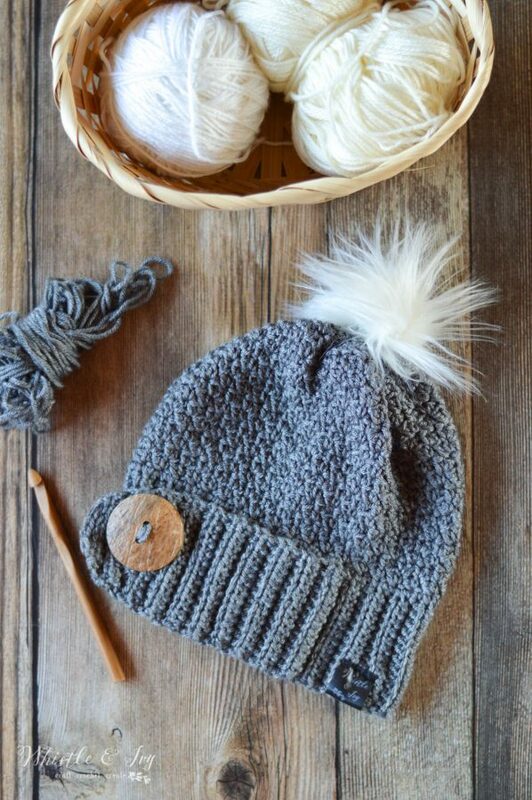 I would like to make this hat but I want to know how the stretch/recovery is on this particular stitch. Most crochet hats do not work for my head, if they’re too snug at all they work their way off the back of my head; if there are a slight bit lose they slip around on my head. Typically I make the hat and add a knitted ribbed band so that I can get the recovery I need. What is this one like around the forhead area as far as stretch/recovery? Thanks! I agree with you, crochet does not have the stretch recovery that knit does. I think if you have had problems will all other projects, you many not have better results with this one. I personally LOVE how this hat fits, but I am not sure what you’re experience will be. What yarn are you using? Your yarn choice has a dramatic effect on your stretch recovery. Hi Bethany!…I made the Cobblestone Hat came out exactly like yours, its beautiful and cozy. Thank you for this. Yay! You are very welcome, I am glad you like it! going to crochet the hat. where can i locate the pom ? There is a video tutorial near the bottom of the page. Do you use an adblocker? This will block the video from loading. Can this be adapted to make it in the round without the seam? It wouldn’t look the same, the cables would be horizontal instead of vertical. I love this pattern! Trying to find a printer friendly version. Is there a link I’m not seeing?Thanks!. BTW everything you come up with is great and the patterns and tutorials are easy to follow!! Thanks Rebecca! So glad you like the hat! I don’t offer a print friendly version, I am sorry! Thanks for this cute hat! 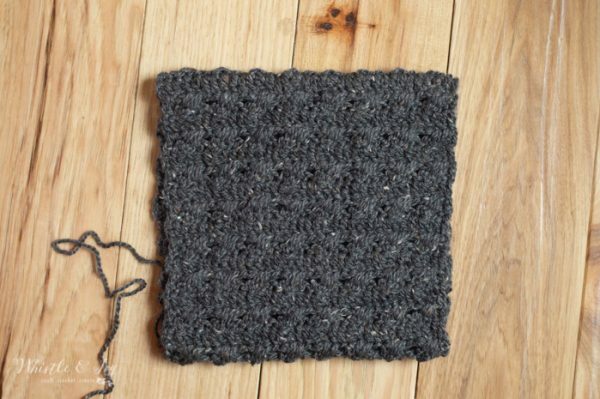 I am curious as the Ravelry pattern page lists this pattern yarn as a DK and the pattern here is aran or heavy worsted. I am looking forward to starting this project and just want to make certain. You’re welcome! Hm, I just checked an it says Heavy worsted? Where are you seeing the DK yarn listed? 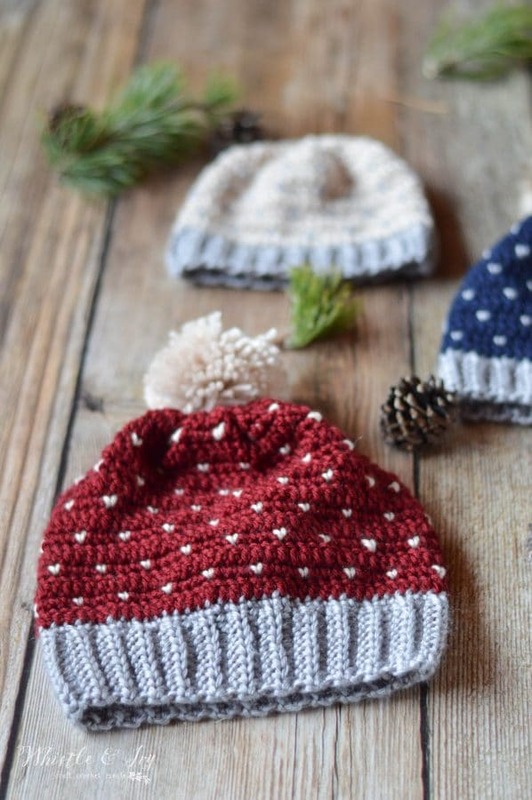 Very nice and easy to make hat pattern, thank you so much for sharing it with us!